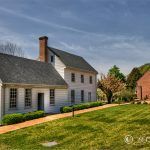 This is another great photographic opportunity in Northern Virginia which although of great historic importance is not on most peoples’ radar. 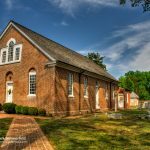 This is St. Mary of Sorrow Roman Catholic Church located on Route 123 a few miles south of Fairfax City. 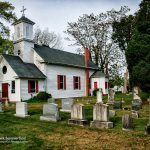 I had no idea of the importance of this building when we stopped to capture the fall colors surrounding what to me was just a picturesque white church. 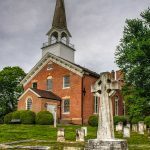 This church served as a field hospital during the Second Battle of Manassas, and Clara Barton, the founder of the American Red Cross, worked there as a nurse caring for wounded soldiers in the aftermath of the horrific fighting in which some 25,000 Americans were killed. Very nice colors Mark. The leaves in the foreground give the image a nice depth. Excellent history lesson too. Great image, Mark. I like the angle you shot this on with the trees in the foreground framing it. Makes for a nice look through the foliage. 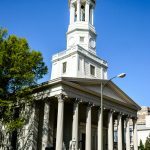 That’s a very nice looking church and to read up on it’s history let’s us know just how special a place this is. Really like the way you’ve composed this Mark. 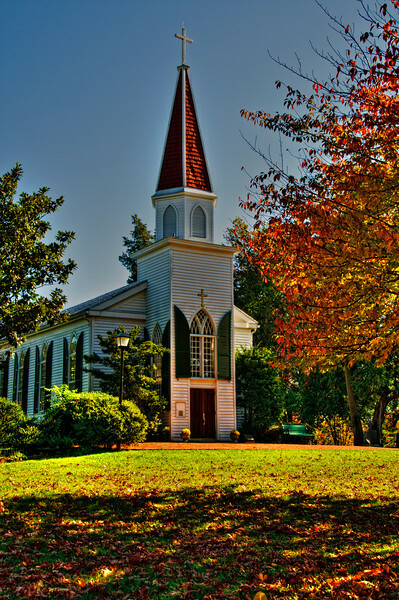 The trees frame the church perfectly. love that fall color in the leaves Mark! Wow Mark, this is a beautiful shot! What a great history lesson as well. Very well done! Good composition and great light and colours, Mark!